What is reactive programming ? Reactive is a programming paradigm and the oriented around data flow and propagation of data change. Any things can be stream variables such as user input, properties, and data structure etc. For instance RSS feed, and any click event. We can listen to these streams and reacting accordingly. Now comes comes what is streams .? The stream is a sequence of ongoing event ordered in time. A stream can emit three different things a Value, an Error, and Completed signal. We capture these emitted events by defining the specific function by executing each instance. The listening each stream is called Subscriber. The functions we define are observers. The stream is subject and observers being observed. This is an observer and observable design pattern. Subscriber => Consume those items. Reactive Programming raises the level of abstraction So we can focus on the interdependent of the code the define business logic rather then having to consistent falling large amount of implementation details. The code in Reactive Programming in likely is more concise and simply the ability to chain asynchronous operations. It help to reduce the maintenance of the state variables. Rx stands for reactive extension. 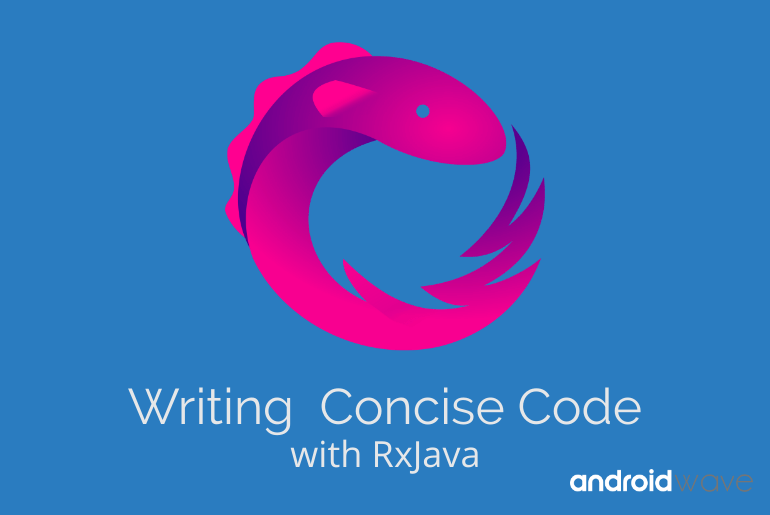 RxJava is a library for composing asynchronous and event-based programming by using observable sequence. But what does actually means? In Reactive programming, we received the continuous flow of data streams and we provide the operation apply to stream. The Source of data doesn’t really matter. One of the most challenges of writing a robust Android app is a dynamic nature of changing input. In traditional programming, we have to set explicitly on variables them to be updated. If one value change then dependent value is not changed without adding line of code. c=? // what should c be ..? RxJava is a extension library from DotNet enable android app to be built in this style. In this observer design pattern an Observable emits items and subscriber consume those items. There is pattern how items is emitted and Observable emits any number of items including 0 items then it terminate either by successfully completing or due to an error. Each subscriber have observable call. It differs in one key way observable even don’t start emitting items until someone explicitly subscribes to them. Observable are emitted a stream of data and event, It can be 0 or more. it terminates either by successfully completing or due to an error. Observer is class that receives the events or data and acts upon it. In other words, Observers is consumed data stream emitted by observable. onSubscribe(): Observers have to subscribe observable using subscribeOn() method to receiving emitted data by observable. onNext(): This method invoked when the observable emits the data all the registered observer receives the data in onNext() callback. onError(): This method invoked when the emission of data is not successfully completed. then an error is thrown from observable, the observer will receive it in onError(). onComplete(): This method is invoked when the Observable has successfully completed emitting all items. As we know RxJava provides a simple way of asynchronous programming. That allows simplifying the asynchronously processing to manage the long-running operation. In Android development, Thread management is a big nightmare for every developer. Rx programming provides also a simplified way of running different tasks in different threads. Schedulers are the component in Rx that tells observable and observers, on which thread they should run. AndroidSchedulers.mainThread() – Observer will run on main UI thread. subscribeOn() – tell the observable, on which thread you should run. Schedulers.io() – will execute the code on IO thread. In RxJava you can convert the stream in before received by the observers such as if an API call depends on the call of another API Last but not least, Rx programming reduces the need for state variables, which can be the source of errors. How to implement in Android ? Let’s understand how particle implement that, Suppose you have a colorist and want to print each color on Logcat using RxJava. So simple fallow above 3 steps. //Observable runs on new background thread. //Observer will run on main UI thread.